Tax technology provider Vertex hosted a two day conference in April 2018, bringing their experts in tax and technology together with their partners and clients. European CEO joined them to learn about the tax compliance challenges that multinational businesses are facing, and the trends in technology and automation that are helping them manage. 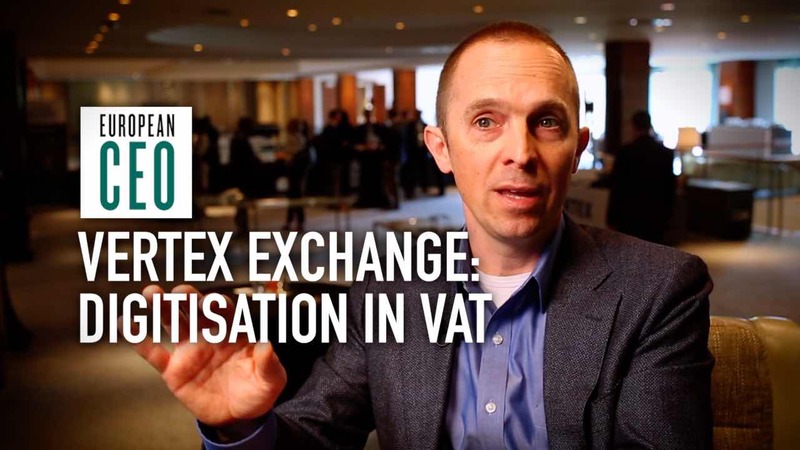 In this video, VAT Director Danny Vermeiren explains how robotic process automation can be leveraged in the tax realm, and how to start building your own tax robot to complement your company’s tax data management solution. You can watch all our videos from this series in our Vertex Exchange Europe 2018 playlist. Danny Vermeiren: Robotics is the buzzword of the moment! Everybody’s talking about robotics, and at Vertex we’re really looking into robotics ourselves, and we see robotics as a way to augment the value that you can get out of our solutions. So robotics in itself is not the solution to solve the problems, but robotics is a good way to complement your existing solutions that you have, to automate repetitive tasks that are of low added value to your team. RPA – or robotic process automation – for tax is still a little bit of an unknown. Think of robotics as a way to automate repetitive processes that your clerks are doing: moving the same data from here to there, going to fetch this or that, logging in to this and that application, and repeating those tasks. You can programme a robot to act exactly like your workforce should be; it’s actually – if you know what you’re doing – a fairly simple process. It starts with fully mapping out your processes into a workflow-type of approach; and then once you have your process mapped out, there are applications that you can use that are fairly simple to programme. You don’t need any coding, it’s really a user who can programme them. And you tell the robot which steps to follow – and then you can immediately start testing! It’s actually fairly simple. Vertex is working together with partners and with customers to look at robotics, together with other technologies, because we don’t look at robotics in isolation. Robotics is simply a way to complement the end-to-end solutions that we bring to the market. But as always, Vertex works together with partners and with customers to find the right match and the right level of automation with robotics to augment the end-to-end processes that we facilitate with our software.